A prehistoric clash of tooth and claw! Which dinosaur will win each battle? What would happen if an Iguanodon and a Velociraptor went head to head? 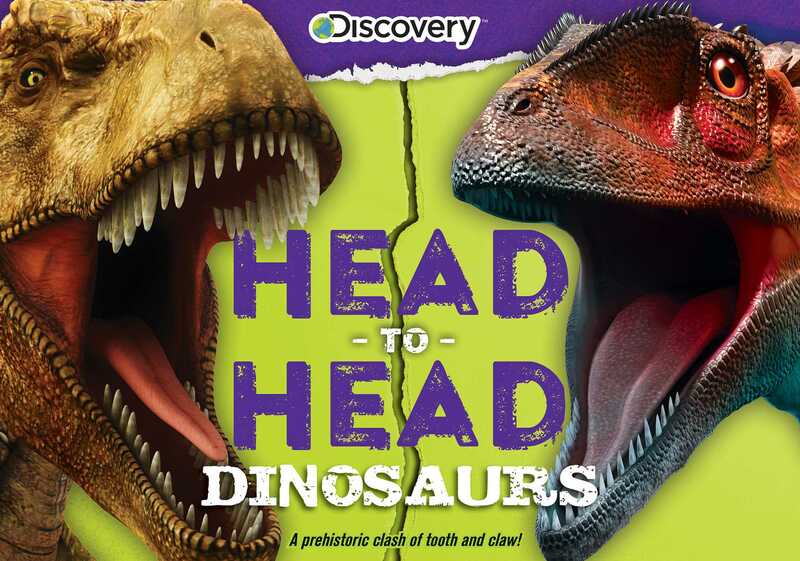 Find out in Discovery Head to Head: Dinosaurs! This unique book allows kids to flip the two stacks of pages to put (some unlikely) dinosaur pairings in battle. Each dinosaur is given a score based on criteria such as speed and intelligence—the dinosaur with the higher number wins the battle. Children will also learn more about each dinosaur species on the back of each card. Kids will enjoy hours of entertainment as they flip the pages and put their favorite dinosaurs head to head! Franco Tempesta was born in Milan, Italy. Since he was a child, he loved drawing animals, dinosaurs, and dragons. Specializing in naturalistic illustration, in the last ten years he has focused his attention on the realization of realistic images of dinosaurs and primitive mammals. He has collaborated with national and foreign publishers, such as National Geographic, Random House, Firecrest Publishing, Geoworld, and important advertising agencies of Italy. Since 1990, he has been a member of the Italian Illustrators Association. In April 2014, the Museum of Paleontology of Naples hosted a permanent exhibition dedicated to his illustrations of dinosaurs. Franco Tempesta loves nature, the sea, diving, and traveling.